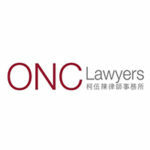 In respect of initiating proceedings for divorce in Hong Kong, section 3(c) of the Matrimonial Causes Ordinance (Cap. 179) requires either of the parties to have substantial connection with Hong Kong. There is a line of divorce cases showing that the Courts in determining whether a connection is substantial would take all relevant factors into account, such as the length of residence and possession of assets in Hong Kong. Interestingly, there is a recent appeal case significantly extended the application of “substantial connection” in divorce cases to other family-related matter. In the case of WSJ v WZC  HKCA 89, an application was made by a minor applicant (the “Son”), acting by his mother (the “Mother”), for a declaration of parentage under section 6(1) of the Parent and Child Ordinance (Cap. 429) (the “PCO”) on the basis that he had a substantial connection with Hong Kong under section 6(2) of the PCO. The case was brought to the Court of Appeal and became the first appellate case to decide on what constitutes “substantial connection” for the purpose of section 6(2) of the PCO. The Mother and her boyfriend, the father of the Son (the “Father”), are Chinese nationals living in Wuhan city in the Mainland China. They are not Hong Kong permanent residents and have never lived in Hong Kong. However, the Mother and the Father decided to give birth to the Son in Hong Kong. On 29 April 2010, the Father arranged for his younger brother, (the “Brother”) to accompany the Mother to Hong Kong to give birth to the Son. The Mother and the Brother returned to Wuhan with the Son after obtaining the Son’s birth certificate in Hong Kong. The Brother soon discovered that his name was wrongfully put on the Son’s birth certificate as the name of the Son’s father but he did not dare to tell the Father about the mistake. It was not until October 2014 when the Son applied for travel visa to the USA did the Father discover the mistake in the Son’s birth certificate. In May 2015, the Mother and the Father jointly applied to the Registration of Persons Office to correct the erroneous entry of the father’s name in the Son’s birth certificate pursuant to section 27(1)(c) of the Births and Deaths Registration Ordinance (Cap. 174). The Registration of Persons Office informed the Mother and the Father that the correction would be done by crossing out the name of the Brother and inserting that of the Father. However, the Mother and the Father considered that such form of correction was not satisfactory as it might cause embarrassment in future. The Son, acting by the Mother, therefore commenced proceedings in the Family Court by way of summons to apply for a declaration under section 6(1) of the PCO that the Father is in law the Son’s father. The application was supported by the paternity test report which showed that the results of the DNA test conducted on the Son and the Father produced a probability of paternity of 99.99%. The Family Court adopted the meaning of “substantial connection” established in matrimonial cases and required the proof of the Son’s physical presence in Hong Kong except for transitory purposes. As the Son has never lived in Hong Kong, the application was therefore dismissed on the basis that no substantial connection with Hong Kong was established. Leave to appeal was granted on the sole ground of: “whether in determining if an applicant has a substantial connection with Hong Kong for the purpose of the PCO, the criteria and/or standard for satisfying the requirement of ‘substantial’ is the same as that in the divorce cases”. The thrust of the Son’s arguments was that the Court should adopt a more relaxed approach and that the Court should exercise its jurisdiction in the best interest of the child concerned in so far as the child has connection with Hong Kong. On the other hand, the Secretary for Justice, who joined as an intervener in the appeal, argued that the established interpretation of “substantial connection” in divorce cases should be applied and that temporary or transient presence in the jurisdiction is insufficient to establish “substantial connection”. The Secretary for Justice also pointed out the high threshold would prevent abuse and ensure Hong Kong will not become a fly-in fly-out jurisdiction for seeking parentage declaration. The Court of Appeal held that the Son failed to rebut the presumption that the same interpretation which the Courts have placed on “substantial connection” in other family legislations should be adopted in interpreting a similar phrase in the PCO. Furthermore, the best interest of the child should not be considered otherwise it would put a gloss on the plain words of “substantial connection”. Accordingly, the appeal was dismissed. This is a landmark case in the sense that it is the first time for the Court of Appeal to confirm the interpretation of “substantial connection” in the PCO. The reasoning of the Court of Appeal also implies that the Courts would adopt the same interpretation of the statutory provisions in the family legislations, such as the Matrimonial Causes Ordinance (Cap. 179), the Matrimonial Proceedings and Property Ordinance (Cap. 192) and the PCO, unless there is a good reason to depart from such practice.